Welcome to Investing for Beginners podcast this is episode 70. Tonight Andrew and I are going to discuss risk, we’re going to talk about all the different types of risks there are with investing and we have a very interesting show coming up for you. So without any further ado I’m going to turn over to Andrew and he’s going to start us off. Andrew: yeah so when I think about risk and when many people define risk and whether you talk to investment advisor you talk to maybe an individual investor who is more experienced and kind of understand what the risks are when it comes to investing your money. Well there’s kind of like three major ones so we’ll discuss each of those and it’s very important to talk about risk and think about risk. If you go back to the very basic definition of an investment which I always love to refer to when I’m talking about dividends. But if you say investment 101 what is that it’s essentially money that you put it you put money at risk and in order to be compensated for that risk you have a reward you have gains you have an income stream and that’s essentially what an investment is. And that’s no matter how what kind of investment you’re making that’s going to be how it works even if you do something like as simple as lending money to somebody and charging them an interest rate there’s going to be risk there. There’s risks that you lose all your money because some of the skips town and then they don’t pay you those payments right. And so obviously our shows focus a lot on the stock market we’ll talk about the stock market risks and some of the various factors that maybe somebody who’s a little bit more green or if that’s the right term somebody more new to the market some of these not as educated they might not have thought about these different things. It’s important to think about them important to learn them but also important to have a solution right to be able to understand that there is risk but historically and moving forward there are different ways to mitigate that risk and it can help it can help your overall returns it can help the type of results that you will see from your investing. And so make sure that’s something that you’re thinking about and you are forming your strategy in order in order to fight those risks. The first one this is very common commonly talked about in finance it’s a market risk and so just the fact that you’re in the stock market in general you’re going to have market risk. Another way it’s kind of referred to as it’s called systemic risk and basically it’s the risk that you get for putting yourself into the system. This is something that you are not able to really have an easy solution to go against. So if you think about the other two risks so a big one is business risk and that’s the risk of a stock you’re owning of the company going bankrupt that’s called unsystematic risk and then you also have like interest rate risk. 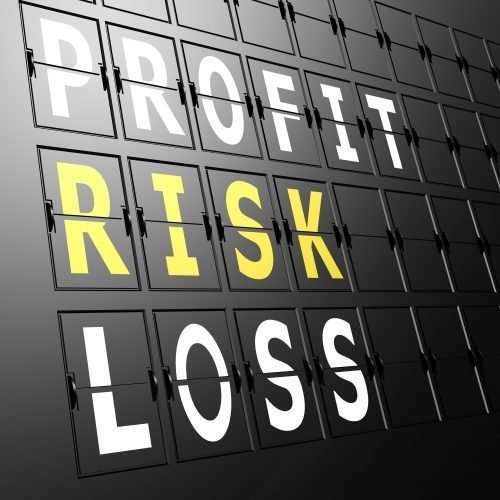 With market risk you can’t diversify your way out of it so for unsystematic risk this is business risk a business of any one stock losing a lot of value or even going bankrupt and you lose your whole investment. You can the way you counter that is by reinvesting I’m sorry not reinvesting uh the way you counter that is by diversifying if you have enough eggs in the basket and one goes bad one cracks at least you have those nine other eggs those 19 other eggs and so you still have a big part of your investment capital intact. With market risk you cannot diversify that away unless you spread out unless you put less money into the market so because it’s stock market risk away. You can essentially combat that is by holding different types of assets and so that’s something like an asset allocation strategy something like adding bonds into the mix something like having hedges or investing in different currencies. I guess there’s a lot of different ways that you can start to try to fight the risks of the stock market that are inherent with the stock market. If you look at the history of the stock market you look at a chart it might not seem like it fluctuates so highly up and down. If anything about like math and the way that charts work you’ll know that there’s like logarithmic charts and like straight up just data charts. The reason they use log room log worth sorry having a tough time pronouncing this word and I’ll try not to get too mathy on everybody. But something like log like a log chart will show you percentages because as the numbers kind of get higher the chart starts to the numbers get higher that the chart starts to not accurately show what an investor is really feeling with and how their gains and losses are going. So is something that’s like a log it shows more of like the percentages of how an investments going up and down. But anyway so if you’re really if you really hone down on the history of the stock market if you hone down on the charts as they go through their different time periods the different decades the 20s the 30s the 50s the 70s 80s. You’ll see that there are huge swings in the value of the overall stock market there’s huge bull and bear markets. There’s long periods of time where the stock market seems like a horrible place to be because the price is not going high and other times where the market seems like a place where everybody should be because you have more than double digit gains sometimes you’ll have 20% gains a year for several years. And so it’s important to realize that this is just part of the game this is just part of the stock market and you’re going to have to be ok with these huge swings and values I’ll give an example. We hear about the stock market today being however many trillion it is right I don’t know if it’s 19 trillion 20 trillion the stock market has a lot of money in it all the stocks in there are worth plenty right. If you go back to 1925 the overall stock market was 25 billion that’s the value of every single stock on that on the New York stock exchange was 25 billion. In just four years from 1925 to 1929 the value tripled so became almost 90 billion again same group of stocks and then there was the huge what they call the Great Crash from 1929 and then you probably remember the Great Depression followed that. So in another three years by 1932 the market value dropped all the way sixteen billion so you can see from nineteen twenty five twenty five billion to ninety billion to sixteen billion. Quite a lot of fluctuation and while there’s been depending on the recession depending on the stock market crash there’s been varying levels of this kind of volatility that you see in the stock market. But if you if you calculate like a 40-year chart of and you include that time period the overall returns are very close to the average market return which we hear about which is ten percent. So it’s really like a rollercoaster its Dave Ramsey he’s a big personal finance guru he talks about investing especially in the stock market and I guess in general as being on a roller coaster and the only people who get hurt are the ones who jump off. I understand that it’s very difficult to stay invested when there are huge swings in value but it’s very important. I believe that rather than trying to asset allocate your way out of risk and this is very specific to some of the who’s building a portfolio when you’re retired and you rely on retirement income in order to support yourself depending on where your portfolio is what kind of stocks you own. Then it could really make sense to kind of asset allocate that market risk away. But for somebody who’s building a portfolio and something that we discussed back in episode five about being having a portfolio that’s 100 percent in stocks. The best really the best way to counter this this unavoidable market risk, the risk that you will face while being in the stock market is really to just hold and hold for the long term and also just dollar-cost average always adding new money into the stock market. Because if you hold over the long term even though there’s huge wings in the short term over the long term we’ve seen for over a hundred years that there’s a very the returns we come close very close to 10% a year. And that’s with reinvested dividends so you really want to just be in it for the long term be holding your stocks for the long term and that’s really the only way that you’ll survive all these big ups and downs we’ve talked about again how timing the market is not a good idea and how even if you’re a terrible market timer you will have fantastic returns just by holding long enough and letting the market work its way through and you just accumulate different numbers of shares and all of those things. That’s really my thoughts on kind of fighting market risks systemic risk and I was wondering if you have any thoughts on that Dave. Dave: I do I think some additional aspects of market risk that I wanted to touch on were a political slash for legislative risk and also a currency risk and inflationary risk. So let’s talk a little bit about political and legislative risk so these are also says systemic events that you have to deal with so political and legislative risk that’s obvious pretty easy. Congress has the power and the ability to affect how the SEC works and SEC is the governing body of the stock exchange and so they can enact laws that can a make it harder for people to buy and sell stocks they can act different laws that can make things more expensive. There’s just so many different ways that that the Congress can go to affect what’s going on in the stock market and I’ll give you a sort of recent example. With the Great Recession that we had in 2008 and 9 the political parties decided that banks were evil and were the epitome of causing what happened and I can’t argue with them on that. But they enacted quite few laws that the Dodd-Frank Law for example. The Dodd-Frank law for example was a law that was enacted to help I guess govern the banks and control them and tried to put limits on them and by doing this they enacted different laws that caused them to have different capital allocations. In other words when every year when a bank figures out what their earnings are when they file their reports they have to go through stress tests and these stress tests allow them to dictate to the bank what how much money they can use for A reinvestment or B whether they’re going to do any sort of stock buybacks or C if they’re going to pay out a dividend and what kind of dividend they’re going to pay. And so if the bank is not have enough liquidity to cover all the debts that they have so every time that we deposit money into a bank that’s actually considered a debt because the bank owes that money back to us now the part of the way banks work is they’ll take that money obviously and use it to do other things like loan people money and use it to reinvest and other such things I’m not going to go too deep into that. But the government has decided that each bank has a certain stress level that they need to adhere to make sure that they’re liquid so that they have enough money to cover any sort of major catastrophes that could happen in a stock market. And they do this to try to help protect against what happened in 2008 in 2009. Unfortunately there was lots of bad people out there and they’ll figure out ways to manipulate the system and they did in 2008-2009 and they’ll probably figure out a way to do it too I’m not smart enough to figure that out but I’m sure they will. But anyway so the government to try to help mitigate that risk has enacted different laws particularly with the bank’s recently to try to help control that risk and so those are some of the things that you have to kind of pay attention to. And whether you’re on the right or the left side of the aisle doesn’t really matter there’s all kinds of different ways that the government can use to help try to a control and influence what happens in the markets. And another additional risk along with that is currency risk and inflationary risks. So currency risks so this really kind of covers two different aspects if firm for Andrew and I were majority we invest in the United States so the currency risk for us is more of an issue of how the dollar is doing outside of the United States and whether it’s strong or whether it’s weak. It can also affect if your company is doing a lot of business outside of the country and I’ll give you an example Apple or Corning who is a company that I invest in. They do a lot of business overseas in Japan and China in particular and South Korea and so they have a currency risk which they do different things to try to mitigate for the investor. But when there’s large swings in the currency that affects how their business does as far as their earnings and the profits and their sales and all those kinds of things so that can affect the pricing of what happens in the United States when you’re looking at the stock market. And so the currency risk can kind have go in and out of where you do invest your money. So let’s say you invest a lot of your money overseas let’s say you invest in some of the emerging economies or maybe some of the up-and-coming countries like maybe China or India. If you invest in those companies when you want to liquidate those companies you are taking a risk at that time about whether the currency is up or down compared to the dollar because you’re going to have to convert it to dollars and then bring that money back into the United States. And when you do that you are taking a risk and one of the ways you can hedge against that risk is you can have different currency investments that you can do to kind of hedge against the fluctuations of the different currencies that you’re investing in or you can just not invest overseas. I mean that’s another option that’s I choose to do that just because I don’t understand what goes on in India and I’m not bashing India by any stretch the imagination. But I don’t understand the country I don’t understand the economics and it’s just not something I’m comfortable investing and partly because I don’t understand it and partly because I don’t understand the currency and I don’t want to that’s just not something I want to deal with. That’s kind of my thoughts on that inflationary risk I guess would be the biggest issue with that is talking about we’ve talked a little bit about this in the past when you invest in something. Let’s say that you put all of your money in a savings account at a brick-and-mortar bank those accounts are going to be making anywhere from 0.5% to maybe 1% as the bank’s really generous and those that money is going to cost that’s going to cost you money because you’re going to be losing money against the inflation. And the inflation is 2% and you’re investing at 1% you’re losing 1% every single year and so in you have to be cognizant of that when you’re investing and deciding what you want to do with your large portions of money. And that’s why you’ll hear people talk a lot about real returns and how that hedges against inflation and that’s something you very much have to keep in in back of your mind when you’re investing especially if you’re going to be putting large amounts of money into one particular device whether that’s a money market account a CD or any of the kinds of things because if you tie that up money up for a long period of time and inflation continues to rise then that can you’re going to lose money because your dollars not going to be he’s worth the same in 5 10 15 years. Andrew: but it yeah almost four. Dave: okay see there you go. So it’s that it’s the dollar is still the same I mean whatever you make is still worth what it is today but gas has gone up that much I remember buying the eggs were 55 cents I remember buying milk it was just a dollar now it’s almost $3.00. All those all that inflation takes a toll and so when you buy your dollar total that dollar ten years from now it’s not going to be worth as much and that’s why you have to make sure that when you’re investing that you’re investing with that in mind to help to produce that risk because nobody wants to buy something for $10 and a B were six dollars ten years from now that’s how you lose money. And when you retire that’s really critical because if you’re living off of your investment income at that point inflation is going to be one of your biggest enemies and that’s what you have to fight for I’m playing for as you go forward. So I guess those are some of my thoughts on some of those risks. Andrew: so I’ll talk about or I’ll ask you inflationary risk and then kind of circle back to the other ones you talked about so how can an average investor combat inflationary risk is as simple as buying stocks or dot dot? Dave: well that’s the that’s the kind of the $24 question I think for me at this point in time it would be buying stocks because if you’re investing in stock market and you’re looking at trying to even just matching the SP. If you’re looking at a 10% return over a period of time you’re going to outdo inflation and that’s kind of I guess for now that would definitely be the way you’d want to go. Now who’s to say that that won’t be still be the case five ten years from now with the with the Fed raising the interest rates you’re going to start to see some of the more very stable traditional slower moving investments like Treasury bonds Treasury bills savings accounts CDs you’re going to start to see some of those rates rise. But to the trick with that is investing with enough of investing in those with enough ability to outpace inflation, so keeping an eye on what inflation is important when you’re deciding whether you want to tie your money up with that. When I say tie your money up when you put it into a CD for example you have a contractual agreement with a bank that you’re going to put this money in an account for anywhere from three months to 20 years and when you tie it up for a longer period of time you’re basically cutting yourself off against any sort of inflationary risk. Because if the inflation continues to rise you’re going to be in a lot of trouble and that’s why I’m very hesitant to use those kinds of investments at this point in time. Andrew: yeah so I know historically inflation has been around 2 or 3 percent a year again kind of like the way the stock market’s been like in the 1980s there are huge percentages of inflation and also interest rates were very high at that time. But over the long term it’s been close to the 3% and I like that idea of not tying up your money. Especially because the stock market naturally has its own the nature of the stock market and businesses in general can combat inflation. I’ll give you an example when you talked about like the price of different groceries or the price of gas let’s say we talk about like the price of a cheeseburger if the inflation on that goes up if cheeseburgers all around the world or all around the country are all becoming more expensive. Well the businesses all the competitors there they’re going to move their prices up the same if the price of ground beef goes up if the price of hamburger buns goes up bread goes up. Then all these businesses have no choice but to raise their prices. And a business could refuse to raise their prices and they will quickly go out of business because if you’re losing money on hamburgers and so making money it’s going to be hard to run a profitable business. Now as an investor if you hold a stock in one of those hamburger companies you’re kind of in a way combating that inflation because companies and industries are able to raise their prices and if they if they can do it at a rate that’s at inflation or beating inflation they could maintain their earnings or even grow their earnings and so I think when you think I’ll buy that on the small scale and then expand that out to the large scale stocks can be a great way to combat inflation just based on the premise of that’s kind of how business world works and how being a part owner owning the stock and that’s how that works as well. Currency risk do you see any practical ways of combating currency risk? Dave: other than what I mentioned I’m not an expert in currency risk so I guess I would be hesitant to say hey yes you should buy this currency against this currency and I don’t know enough about investing in actual currencies to be an expert or to I guess lay out an opinion on that. Really my only exposure to that would be like I was mentioning with the companies that some of the companies have invested in that have operations overseas and how they handle dealing with that currency risk for them which of course affects me as an investor in their company. That’s really kind of my I guess level of expertise and I wouldn’t want to give people advice on that if I don’t really know anything about it. Andrew: is it fair to say maybe by having a diversified portfolio of stocks that there’s a good chance that many of those companies I mean especially in the global economy we see today just by having enough stocks that you have a good exposure to the whole global kind of all the different currencies and so by nature you’re getting at least some sort of you’re getting some sort of hedge against that kind of risk. Dave: I would say so yeah. Andrew: and yeah that’s what I would think – I mean if you’re kind of trying to own different currencies and people talk about this with Bitcoin. If you’re trying to allocate certain portions of your portfolio to try to mitigate this currency risk sure you can do that but if you look if anything about the history of the world and empires I mean that’s very hard to predict which nations ultimately prosper and which ones decline and you’re losing now on income dividends and the fact that you want to stick to your circle of competence and knowing that it’s not too difficult to analyze businesses compared to countries and currencies. I think it makes a strong argument for kind of sticking to stocks and trying to just build a diversified portfolio and then kind of circling back to just holding for the long enough term. and as the stock market fluctuations kind of ride their course kind of ride out and go through all that I think some of the currency stuff global stuff all kind of works itself out to that fair. Andrew: okay let’s move on to business risk and that’s unsystematic risk this is something that I try to focus on a lot I kind of take the Ted Williams approach as I mentioned last week or two weeks ago to picking stocks which is instead of trying to find the best winners avoid the biggest losers Ted Williams likes to the strike zone he identifies the parts where he doesn’t want to swing and then just focuses on swinging on the high percentage parts of the strike zone. I look at stocks as the same way and so by reducing the chance of big losses reducing the chance of permanent loss of capital you can increase your overall returns. If you want kind of specific data on that I when I talk about the e letter I have like a chart and a table with the different percentages you need in order to come back from a loss. So actually when you lose money on the particular stock it takes more money to actually make that back in order to break even. So as an example if a stock gets cut in half you now need to that stock now needs to double in price in order to just go back to where it was. And so now you’re talking about a hundred percent gain versus a fifty percent loss and it gets worse and worse the more and more you lose on the stock. and so by trying to combat and trying to really be cognizant of a particular business’s risk of going bankrupt then you can try to mitigate as much of that effect to your portfolio as you can. It’s a big reason why we talk about investing with a margin of safety and then that last part emphasis on the safety. You’re really looking when you’re analyzing these businesses you want to look at the balance sheet like we talked about before you want to make sure that balance sheets strong you want to make sure debts not too high you want to make sure that the company is not going to be the company’s going to have enough to pay expenses and be able to manage their debt payments and all those sorts of things through good times and through the bad. A great way to combat business risk on systemic risk is finding the stocks that have strong balance sheets one with strong business results and strong business performance diversifying as mentioned before making sure you have enough eggs in your basket where one cracks it’s not going to kill you. And also looking at like the price you pay because that business risk Wow we kind of mentioned going bankrupt it also has to do with just losing a lot of money on any particular stock. And so if you take the Benjamin Graham approach the value investing approach buying low buying stock at a discount to its intrinsic value and that margin of safety. That can be a big way to limit your losses and also up your gains and so that could be a whole another topic for another day. But I think it’s something that’s very important to consider when you talk about risks because especially if you’re focusing on a more concentrated stock portfolio. You really need to consider whether evaluations whether what is the value of this company and how much of paying and how strong is it in the industry and just overall and then its results so those are things that you really need to think long and hard about. And I argue with my big focus on the value type indicator my big focus on emphasis on the safety I argue it’s arguably maybe the best the most important thing to consider when you’re trying to buy stocks and so it’s something to keep in mind. So go ahead and about another kind of small detail of this that relates to business risk and this isn’t really talked about much at all and that’s because lately we’ve had plenty of it and we don’t know what the future holds. But what I’m talking about is liquidity risk and it’s the risk of not being able to pull out your money on any particular investment. so one good thing of all the algorithm traders and all the all the all these day traders that that kind of move the market is they provide a lot of liquidity because there’s a lot of trades going on and so if you’re trying to sell a stock there’s always somebody on the other side of the trade. When there’s lots of day traders and algorithmic traders and all those things it’s quite easy to find something to buy it. but it’s still something that there is a possibility in the future of becoming a problem and I don’t know if maybe you can point to the flash crashes as being an example of that. Various times where an exchange will have to suspend trading for the end of the day. Something I found and I’ve never heard this talked about and I just discovered this recently back during the world war 1 everybody kind of freaked out and with good reason ray I mean I don’t know if there was a war of that scale before World War one. But you had exchanges in Vienna Berlin Rome Paris and London and others that all shut down. This was in July of 1914 because everybody was selling and everybody was panicking and so those exchanges completely shut down. The New York Stock Exchange obviously the US exchange it suspended its trading and not just for a day not just for two days we’re talking about from July 31st 1914 all the way until mid-December. So almost a full half year now you couldn’t you couldn’t trade stocks and even until 1915 they had restrictions on certain stocks on uncertain prices. And so we’ve seen liquidity risk in the past before in the stock market who knows if that’s going to happen in the future but I think it just goes back to the importance of having a long term approach. Warren Buffett always talks about how when he tries to pick stocks he’s looking for stocks where if he were to buy this business and the stock market were to closed for 10 years he would be totally fine with that and he wouldn’t panic. And so I think that’s a good approach to have when you talk about stocks the stock market and just the importance of again buying and holding and being in there for the long term. The last kind of risk which I guess you can get really deep into the weeds with this and something I guess I’m really passionate about but for the sake of brevity and the fact that we’ve gone on quite long for this episode. I’ll just kind of go over the basics of it. But there’s a risk and there’s an interest rate risk and reinvestment risk. So interest rate risk talks about obviously interest rates change we kind of touched on that a little bit. But when you talk about bonds’ fixed income and this affects people in retirement or holding bonds there’s two kind of risks that they need to consider and so with interest rate risk you have the risk of bond prices moving in a way that you don’t want. The way bond prices and interest rates work is they tend to be inversely correlated meaning that when interest rates goes go up the price of bonds tends to go down and when interest rates go down the price of bonds tends to go up. And so the reason for that speaks to reinvestment risk because i how bond works you buy a bond let’s say it’s a 10-year bond and we’re talking about this is the same whether it’s a government bond or a corporate bond. Let’s talk about corporate bonds say I am a bond investor in Apple right and so I put in a thousand dollars they’re going to give me a certain yield and so for over ten years they’re going to pay me that consistent yield so let’s say it’s four percent you’re one they’re going to pay me four percent you’re to pay me four percent all the way until you’re ten at the end of year ten they’re going to give me my $1,000 back and I will have accumulated all of those interest payments and so that’s going to be my that’s going to make up my return now let’s say interest rates dropped from like an average of 4% to like 1%. Well now if I were to buy another bond in Apple it’s quite likely the yield on that bond would be much lower than 4% it would maybe be close to the 1% so I could buy another 10-year bond then but I would be only beginning one percent a year instead of 10% a year so that reinvestment risk is always going to be there. I have the risk of being locked up in a 10-year bond and if interest rates drop now suddenly now people don’t want to buy these bonds because they’re not going to pay again in the field I mean 1% that I’m going to be inflation right so why would I want to buy a bond that has 10 that will lock up my money for 10 years and so bond prices will move based off that. The risk with bonds is people I feel like there’s a big misconception on that and if you don’t really understand how bonds work I feel like you can kind of think that the bond market is really working like the stock market when it’s not quite doing that. The price of that Apple bond can move up and down as interest rates move or even as the company maybe has the quiddity problems or has this flush with cash those bond prices can move. but as a bond investor for that individual bond as long as you’re holding until maturity you’re holding for those 10 years you’re going to get a consistent payment no matter what happens no matter what happens with interest rates no matter what happens with inside the company as long as they’re still open for business and still making those payments you’re going to get the same results. So to me this interest rate risk and reinvestment risk is not something really to try to focus on to too much so the price of your bond is fluctuating is not going to impact your overall return as long as you’re going to hold it to maturity. and with reinvestment risk that’s something that yes it’s there but how do you that’s almost like saying I want to time the market or I want to try that essentially it’s what you’re saying you want to time the market and you want to try the time the movement of interest rates which is just as foolish as trying the time the movement of economic cycles or any other type of movement. In my opinion if you’re buying bonds and you’re worried about these type of risks I would say that there’s not much you can do about it maybe the best thing you can do is lock in a high-yield when there’s a high-yield locking a longer holding period. But there’s no way that you’re going to be able to time it perfectly and you can kind of adjust your allocations as time goes on and as interest rates move. Maybe don’t lock yourself in the 30 years on the one percent yield but at the same time it’s very possible that you might have to it’s cool it’s very possible that you might have to just kind of eat the it’s very possible that this is just kind of par for the course this is just the you’ll just have to eat some of the suboptimal returns that you might get even though you’re doing your best to kind of counter it. But again over the long term over as long as you have enough of an allocation in stocks that’s kind of really the best way to kind of combat that. Hopefully like I like to talk about hopefully you’re building a dividend stock portfolio you’re building you have several stocks which are paying you dividends that are also rising over time that you’ve reinvested over time and are giving you a good income. And so that way you don’t have to rely too much on bonds and you could you could be pulling out dividend income from stocks you bought at ten twenty thirty four years ago and living off of those. And not worry too much about maybe suboptimal performance from the bond aspect of your portfolio. Again I’m talking about the retirement close to retirement kind of stage of a portfolio building a portfolio and maintaining a portfolio and that’s really when I would start to think about bonds and the best cure seems to be prevention in that case. Understand that there is risks with bonds but the kind of if you compare the risks between like reinvestment risk versus market risks I think market risk is a much greater has a much greater spread it’s a much more volatile thing. And so with bonds at interest rate and reinvestment risk is something to keep in mind but as the saying goes I guess and was it an ounce of prevention is worth a pound of cure so maybe keep that in mind and also do some of the other things like playing with holding periods and maturity dates and doing all that but not stress now if it doesn’t turn out perfectly because nobody can tie him the market nobody can time interest rates. If people could they’d be they’d be billionaires and they would they heard you would hear about the most successful investors being these great macro and interest rate timers and that’s just not been the case. Many more billionaires are entrepreneurs and people like Warren Buffett value investors more owners rather than these insanely genius kind of crystal ball type people. I think these three huge things the market risks which is systemic business risk which is unsystematic and interest rate risk is all things that investors will have to deal with at one point or another. Something to keep in mind but likely there are strategies to combat these things strategies to mitigate these risks and we’ve discussed those hopefully in length and hopefully given you a point of confidence where you can mitigate them. Like I said at the very top the absolute definition of an investment is taking on some sort of the risk so you cannot eliminate risk you can never completely eliminate risk. But there’s ways to mitigate it and so try to mitigate that as much as you can in order to get the best results that you can. We hope you enjoyed this content Seven Steps to Understanding the Stock Market shows you precisely how to break down the numbers in an engaging and readable way with real-life examples. Get access today at stockmarketpdf.com until next time have a prosperous day the information contained is for general information and educational purposes only it is not intended for a substitute for legal commercial and/or financial advice from a licensed professional review our full disclaimer at einvestingforbeginners.com.